Mr. Kujawski has participated in building a national reputation in handling catastrophic personal injury and wrongful death cases on behalf of injured workers and individuals. He is nationally recognized for his legal work in representing railroad workers and industrial workers injured by traumatic accidents, toxic substances, and product liability. He pioneered litigation in the field of hearing loss on behalf of injured railroad workers and obtained the first large class settlement against the Illinois Central Railroad on behalf of the workers who sustained occupational hearing loss. Mr. Kujawski has also lead the way in the field of railroad litigation in holding short-line railroads accountable under the Federal Employer's Liability Act. 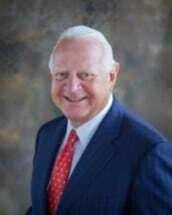 Mr. Kujawski was co-founder of the Academy of Rail Labor attorneys and has served in various offices on behalf of that organization, including past president. He has been a member of Local 520 of the International Union of Operating Engineers and retains his status as an active member of that union. He has obtained multiple verdicts in excess of $1 million and limits his practice to representing plaintiffs who have been seriously injured or killed in traumatic accidents or as a result of defective products. He has been called upon as an expert witness by other members of the legal profession and as a consultant to other firms on issues involving complex litigation. Mr. Kujawski served as a Commissioner of the Attorney Registration and Disciplinary Commission (ARDC) of the State of Illinois from October 2000 to April 2010.